To rise to the top in corporate America, executives and their respective boards have seemingly long abandoned the inherent values of a family business, as tactics of short-termism and streamlining product continue to become popularized. Rather than prioritizing the needs of shareholders and institutional investors, the business owners and partners of the world must realize that family values have real value—both in building a foundational customer base and hedging investments for long-term, sustainable growth. Such unconventional “small town” strategies would likely be rejected at the next proxy meeting for large corporations, but for the small, private businesses that make up 99.7 percent of America’s employer firms, there is a laundry list of things to learn from the mom and pop shop across the street. Unlike many businesses of today that might only look at succession planning when they have to, family businesses have their minds on it constantly. They must—or else risk a messy transition of power that could lead to broken relationships between coworkers and family members. Businesses developing succession plans have to figure out who is going to take over ownership, the fate of the departing owner’s share, and how to identify internal/external candidates for a variety of positions. Family businesses are faced with these questions and more—including deciding ownership and operational roles between siblings and ensuring the family member taking over is fully qualified to be a leader. For some family businesses, succession planning becomes the breaking point as more siblings compete for roles in the company. A study from the Family Business Alliance revealed that approximately 12 percent of family businesses make it to the third generation. To carry on family ownership successfully, some focus on succession strategies that are overlooked or unrepresented. 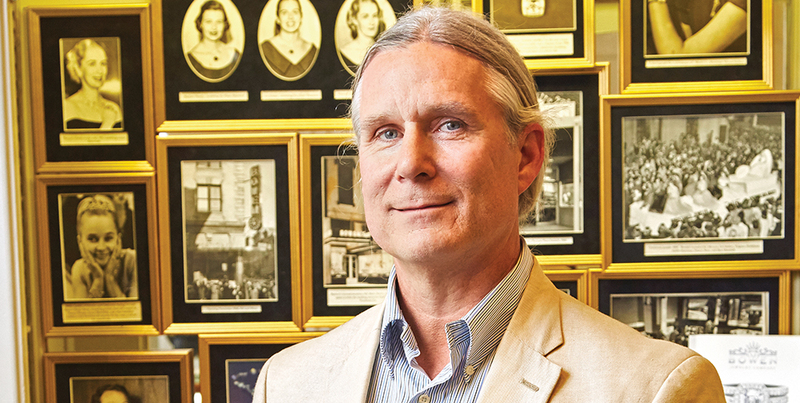 Biff Bowen, of third generation family-owned business Bowen Jewelry in downtown Lynchburg, said he relies heavily on the opinions of his coworkers when choosing a new candidate for hire. The democratic process Bowen refers too, most commonly seen in Employee Stock Ownership Plans (ESOPs), has been linked to substantially higher levels of corporate performance. When employees are given a say in who serves in the company’s leadership or elsewhere in the business, studies show they are more likely to feel a sense of purpose and increase total sales by an average of 2.4 percent. When looking for candidates for succession internally, Bowen also found it is important to focus on the employees who have substantial, relevant experience with an outside company or firm prior to their time working at their current job. Bowen said he believes this is especially important to ensure future executives at the company are fully qualified and have a wide range of experience—even if that experience is not directly related to gemology—that would help them face a variety of problems. Biff Bowen’s son, Mason Bowen, began studying gemology in 2014 and plans to follow in the footsteps of the family business. Before he is able to work full-time, though, Biff said he must first work for a completely separate company to help build a better work ethic and leadership skills. If the standard succession planning procedures are not creating a sustainable and reliable plan for your company, know there are other options. Alfons Bessier, one of three co-owners at Bison Printing in Bedford, said his company decided to restructure as a full-blown ESOP 10 years ago after realizing how messy it would be to maintain family ownership through the third generation of their family. Currently, Bessier and his two brothers own and operate Bison Printing after taking over operation from their father and founder of the company, Franz Bessier. According to Alfons, their company is nearing the initial stock sale in which they will transfer shares of company stock from a trust fund to their employees based on seniority within the company. It is impossible to completely avoid succession planning, though. An ESOP allows Bessier and his brothers to relinquish ownership to their employees, but decisions must still be made about who will run the day-to-day operations and financials of the business. Restructuring as an ESOP can also be an alternative to selling a business outright. Bessier noted that giving his employees the shares to the company not only has improved their performance and the overall market value of the shares of the company, but also places the company in hands of trusted workers who know the business well. Shaking hands and remembering names is not highly prioritized among most Fortune 500 companies, but it is something family businesses do best and is a habit that can improve your bottom line and strengthen your customer base in the long term. A study compiled by customer relationship management firm VIABL found that 65 percent of a company’s business comes from existing customers and that improving customer retention rates by just 5 percent can increase long-term profits by as much as 95 percent. Long-term profit is the asterisk next to customer relations, though. Family businesses, rather than making decisions to please shareholders, tend to prioritize healthy returns over time to ensure their family and employees hold a stable future. Taking the time to invest in a foundational customer base means not only interacting with customers, but also spending resources to research your target consumer to find out how to better market to them, thus making it an important branch of R&D. Investors may see this strategy—or R&D in general—as a decrease in day-to-day productivity and a loss of revenue that could decrease their dividends. Small companies focused on achieving bursts in profit and short-term gains to please their investors, though, will succumb to unpredictable quarterly reports and will be more at risk of inflation and other external market fluctuations. The customer base that is created through relationship building will not only establish a healthy, reliable stream of revenue, but also is essential in getting a small business through tough times. During the Great Recession in 2007-09, lower wages forced consumers to shop at retail giants, where prices were cheaper. That caused massive drops in revenue for small businesses across the nation. The corresponding lack of credit availability hit small businesses the hardest and forced many to lay off employees, and in some cases, family members. It was the Lynchburg locals who frequented Bowen’s shop the most before the recession, he said, who enabled his shop to stay open through the hardest financial times of the company. Not only is it important for small businesses to build relationships with customers at a face-to-face level, but it is also just as important to become a trusted name in the broader community through promoting local organizations and supporting community events. Community involvement ranges anywhere from volunteering at a local event as a staff to financially supporting local charities and nonprofits. Bowen said his company supports many local organizations such as Amazement Square and the Academy Center of the Arts, and through doing so he is able to build upon his family’s legacy and good reputation. The foundational trust that a typical family business can boast is created mainly through investing in corporate social responsibility (CSR). Consumers—especially millennials—will often shop at a small business if they believe it is assisting the environment or social wellbeing of the city, even if the local shop’s prices are higher. CSR is a great way for small brick and mortar stores to fight back against the Wal-Marts and Amazons of the world, because the social wellbeing of a person’s community is a purpose that many consumers not only will support verbally, but also financially. It is such a large demographic that four out of every five U.S. consumers say they consider the ethics of a company when shopping. Small businesses can follow their family-owned counterparts in capitalizing on that customer base by promoting their volunteerism or community outreach through social media. Just as important to keeping a good reputation, though, is preventing a bad one; research from CR Strategies found that 44 percent of people will discount a company with a bad reputation. Giving employees fair wages relative to inflation and working with employees on customer relations are just the basics in countering bad reviews and bad publicity with the unions.